There's perhaps nothing more quintessentially New York than Italian and Italian-American cuisine. The quality and authenticity of Italian cooking in New York City is some of the best in the United States. Our list includes famous restaurants as well as undiscovered eateries that let you experience the local flavors. Marea is the recipient of the Best New Restaurant in America Award by the James Beard Foundation. 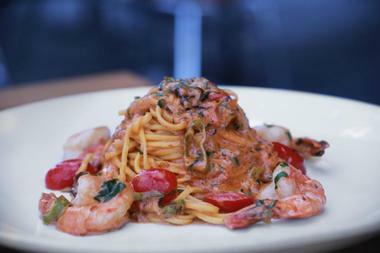 While it is primarily a seafood establishment, Chef Michael White makes some of the best pasta in New York. You’ll find praiseworthy lobster burrata, fusilli with octopus, and bone marrow and steak on the menu. To get the full experience, you should really dive into some of the seafood dishes, such as the polipo, which is grilled octopus served with smoked potatoes and pickled red onions. It is phenomenal. Lunch and dinner both offer a tasting menu, which is the best way to try as many of the delicious options at Marea as possible. L’Artusi in New York’s West Village puts a creative, modern twist on traditional Italian food, leaving you feeling both comfortably at home and excited by a few of the more bold and unexpected flavor choices. 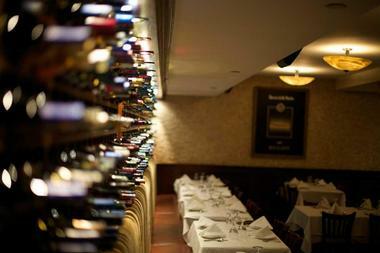 The comprehensive wine list, which is arranged by region, attracts many diners. As far as entrees go, the pizzoccheri comes highly recommended. It is a buckwheat pasta served with Brussels’ sprouts and potatoes and then topped with melted fontina cheese. L’Artusi has two floors of comfortable seating as well as a bar and a chef’s counter that overlooks the open-concept kitchen. The atmosphere is fun and upbeat from the decor to the attitude and personality of the servers. 'Cesca is a popular spot for theater-goers to grab a pre- or post-show bite as it is located next door to the Beacon theater in the Upper West Side. The restaurant has a farm-to-table philosophy and sources most of their ingredients locally. The medium-sized dining room is typically quite busy with foodies who flock here for the traditional and diverse Southern Italian menu. The menu features several varieties of house-made pastas such as the garganelli or the linguini alla vongole as well as several praise-worthy grilled meat entrees. The menu is perfectly accompanied by a deep and varied wine list that highly emphasizes Italian wines as well as the standard selection of desserts. 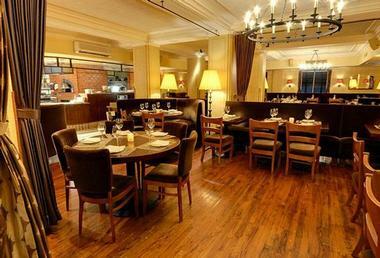 Maialino is a Roman-style trattoria located at the Gramercy Park Hotel overlooking the park itself. Chef Nick Anderer and restauranteur Danny Meyer have developed an experience that, while reminiscent of rustic Italian cuisine, is also relevant to the urban New York scene. 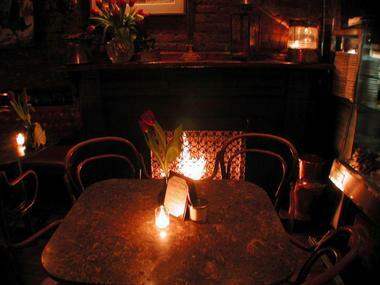 The atmosphere is warm, friendly, and comfortable and the food follows suit. The weekend brunch is especially good with poached egg and porchetta sandwiches or uova al contadino, which is two poached eggs served alongside Brussels’ sprouts and turnips. The word maialino in Italian means ‘little pig’ and the heart of the menu is pork. From the well-done bucatini all’amartriciana to the favorite among carnivores, the maialino al forno, Maialino does pork like no other Italian restaurant in New York. Patsy’s Italian Restaurant is a family-owned restaurant that has been a staple on Manhattan’s West Side since 1944. This landmark establishment serves authentic Neapolitan cuisine. Some of Patsy’s signature dishes are the veal chops Siciliano, chicken contadina, and the calamari stuffed with seafood. The theater district restaurant is well known as Frank Sinatra’s favorite restaurant and his family still visits whenever they are in New York. There are many other high profile patrons who visit Patsy’s on a regular basis, so your chances at a celebrity sighting are high. The restaurant has developed a line of pasta sauces that are available in six varieties both online and at fine and specialty grocery stores throughout the country. Chef Andrew Cardellini of Locanda Verde has earned himself a name among New York restauranteurs for his urban-Italian style and consistently flawless execution. The hearty dish My Grandmother’s Ravioli as well as the lamb sandwich on the lunch menu are both among the restaurant’s most popular items. The sheep’s milk ricotta makes for the perfect accompaniment to your meal. It is topped with olive oil and sea salt and served with grilled bread. Ristorante Rafele’s chef and co-owner Raffaele Ronca was born and raised in Naples. He has loved working in the kitchen since a very early age and has gained experience in some of New York’s finest kitchens. 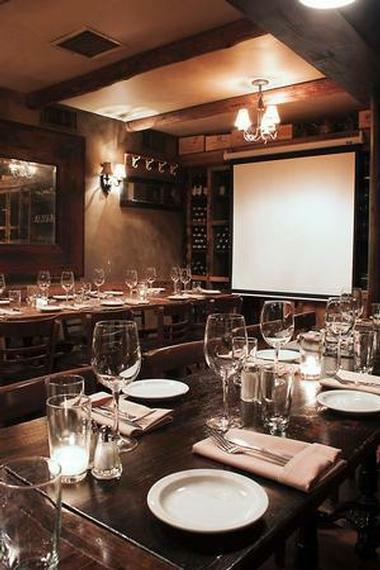 His West Village restaurant offers authentic rustic Italian dining in the style of Southern Tuscan home cooking. The ingredients are farm-to-table and local to the area. The produce comes from Blooming Hill Farm in upstate New York. The fish is caught locally near Long Island and local grass-fed meats also grace the menu. Some of the most popular entrees are the paccheri all’ amatriciana and the bronzino alla griglia. You would be missing out if you didn't finish your meal with the chef’s prized Italian ricotta cheesecake. 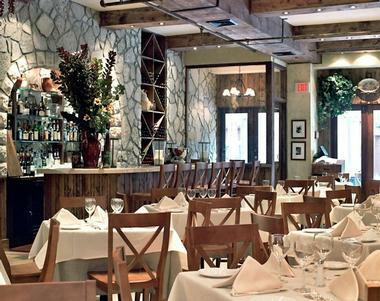 Pastai is a Southern Italian restaurant in Chelsea which specializes in handmade artisan pasta. 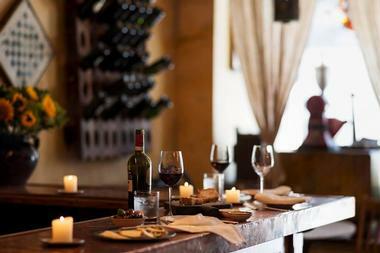 If you are looking for an intimate, unique lunch or dinner spot with plenty of local charm, this is a great place to visit. The pasta is made on site in an open kitchen where patrons can admire the expert handiwork. There are a few tasty appetizers on the menu, such as the applauded fried olives with pecorino cheese and an Italian cheese selection served with grilled bread. However, the pasta is what you came here for. One of the best is the busiate con salsicca, which is a whole-wheat pasta lightly tossed with broccoli rabe, chicken sausage, grapes, and spring onions. The menu also features a fantastic beet ravioli and a hearty and satisfying lasagna. Pastai also has a wine bar where guests can choose from a wine list of awesome Sicilian wines. 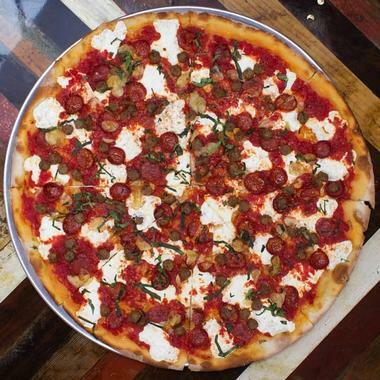 Rubirosa is a family-run neighborhood restaurant specializing in Italian-American food and pizza. The restaurant has become famous for their vodka sauce pizza. Their most popular pie features an ultra-thin crust, the signature vodka sauce, and slices of fresh mozzarella cheese. The menu runs deeper than pizza though, with a selection of antipasti, fantastic pasta, and even rainbow cookies to finish off your meal. The warm and welcoming atmosphere will have you feeling right at home at Rubirosa, whether you are stopping in for a quick slice or celebrating an occasion with your family. The restaurant even has a mobile pizza oven that can be rented out for your holiday party or special event. 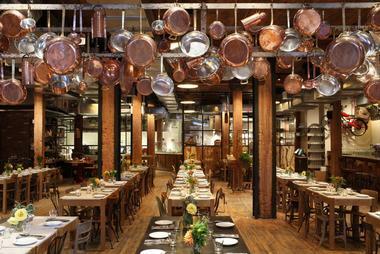 Well-known New York chef Mario Batali serves pasta and other Italian specialties at his restaurant in Greenwich Village. Start your meal with some antipasti such as grilled octopus or a sampler platter of high-quality meat. At Babbo, the highlight of the entree menu is certainly the pasta. The linguine with clams is superb and the gnocchi with braised oxtail will have you coming back again and again. Many of the dishes include unexpected ingredients such as wild fennel pollen and dried orange. These unexpected flavors will excite your senses and leave you feeling pleasantly surprised and satisfied. The restaurant can be quite busy, so reservations are recommended. BASSO56 is a popular Italian restaurant located in New York’s theater district. The restaurant attracts a fair number of theater-goers and local foodies as well as romantic diners and families. The clean, minimalistic, and contemporary decor is the perfect atmosphere for the artistic dishes served by Chef Paolo Marco Catini, an authentic Italian from Abruzzo, Italy. He has created a menu focusing heavily on classic, regional food but also includes seasonal dishes based on what is fresh in the markets. The menu includes some fantastic gluten-free pastas and vegetarian dishes for guests with food sensitivities or limited diets. Lido is a cutesy Italian restaurant with a laid-back yet classy atmosphere. 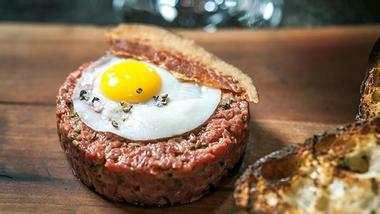 The restaurant has become well known as a go-to weekend brunch spot in Harlem. Chef Serena Bass has a Modern Italian style and influences that range from North African to French. Thus, the Italian food served here offers an exciting twist on some classic dishes. At dinner, it is a good idea to treat Lido as if it were a tapas bar. The appetizers truly steal the show from the entrees, which do not receive such high reviews. The salt-cod fritters are outstanding and come with a garlic aioli for dipping. The pea-shoot salad is a tasty and fresh starter as well. In Italian, la masseria is the word for the farmhouse that is the center of farm life. Owners Peppe Iuele, Enzo Ruggiero, and Pino Coladonato have done their best to recreate the Italian masseria in their midtown restaurant. The decor is rustic, warm, and welcoming and includes old farm tools and a wagon wheel chandelier. The home-style, authentic cuisine fits perfectly into this atmosphere. Guests can start by sharing a sampler plate of antipasti or perfectly fried zucchini strips. These pasta dishes will transport you to the old country, for they have been prepared as Italians in Italy have been doing in their own kitchens for centuries. An Italian-American creation of executive chef and co-owner Andrew LoPresto, Babbalucci offers a menu that is centered around the wood-fired oven. The main draw is the hand-crafted Wood Burning Oven Pizza, which comes atop a thick, Neapolitan-style crust that is both delightfully chewy and charred from the grill. The burrata pie is one of the most popular options and is topped with creamy mozzarella, basil, and tomato sauce. A lighter option is the romana salad, which consists of grilled hearts of romaine topped with pancetta, croutons, and an anchovy dressing. This fun neighborhood restaurant offers brunch on the weekend as well as local artwork for sale in the dining area. Giovanni Rana is a name that has long been known throughout the world as creators of high quality artisanal pasta. Giovanni Rana Pastificio & Cucina in Chelsea Market is the first of the company’s restaurants making fresh pasta each day in the on-site Pasta Studio. As one would suspect, the crowning glory of the restaurant is pasta. However, there is also a fantastic selection of salads, antipasti, and small plates as well as meat- and fish-based entrees, desserts, and wines. The shop side of Giovanni Rana sells hard-to-find and specialty Italian products as well as prepared foods and pasta for visitors to take home. 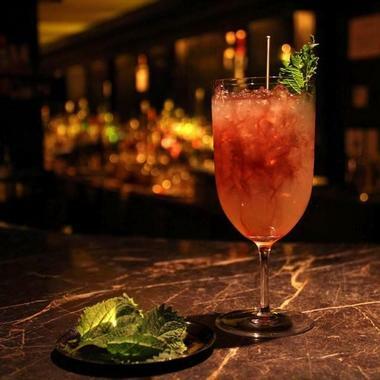 Carbone is a high-end Italian-American restaurant created by chefs Mario Carbone, Jeff Zalaznick, and Rich Torrisi. The restaurant’s retro-glam interior has many allusions to mid-20th century Italian restaurants in New York. The food is served by ‘captains’ who act the part of joking, slightly bossy Italians from the time period. Guests might feel as if they have stepped into the Godfather. Recommended dishes at Carbone include carpaccio piemontese, scampi alla scampi, Caesar salad alla ZZ and the lemon cheesecake. The portions are huge, including a veal parmesan that’s as big as some pizzas and a 2.5-pound lobster fra diavolo. Reservations are taken one month in advance, so dinner at Carbone requires a bit of forward planning. Del Posto is the first Italian restaurant to get a four-star review in the New York Times in almost 40 years. 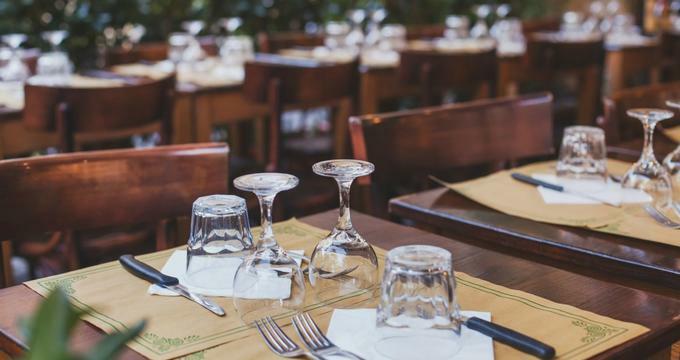 The restaurant is the creation of well-known television chefs Mario Batali, Joe Bastianich, and Lidia Bastianich as well as Mark Ladner and Jeff Katz. The restaurant is opulent, elegant, and pricy. Reservations should be made a month in advance. Many of the dishes are rich and luxurious. For the full experience, visitors to the restaurant should partake in a seven-course sampler menu, where diners can taste a bit of the entire gamut of Italian cooking, ranging from Sicily to the Alto Adige. An outpost of the original restaurant, il Buco on Bond Street, il Buco Alimentari & Vineria is a special place because it combines both the specialties of the Italian village grocery with the quintessential Italian cafe. The alimentari, or market side, sells a selection of house-made salami, cheeses, and homemade breads. The vineria offers a wide selection of Italian fare such as homemade artisan pasta and their ever-popular short rib sandwiches. The dishes feature many of the ingredients sold at the alimentari as well as other market-fresh and seasonal ingredients. The wine bar offers a superb selection of wines. Of course, you are missing out if you don’t finish your experience with some house-made gelato or sorbet. 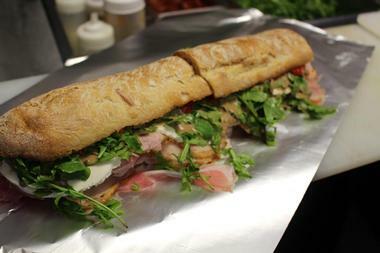 Pisillo is an Italian sandwich joint selling a variety of finely crafted paninis. The jumbo Italian sandwiches are piled high atop fresh bread delivered each morning from a local bakery in Bensonhurst, Brooklyn. Many of their ingredients, such as the buffalo mozzarella, are imported from Italy and delivered each week. The sandwiches are not served hot, defying what many people consider a panini to be, but allowing the cold cuts to be served at the highest quality. Virtually every sandwich on the menu receives high accolades. The sandwich joint has rented the space next door, where it now sells coffee drinks, cookies, and pastries. This has added some space to their always busy and small dining area. 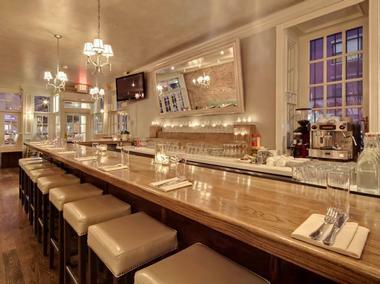 Uva is a popular Italian restaurant in the Upper West Side. While the restaurant offers a number of well-executed entree items, such as the black truffle gnocchi and short ribs, it’s best enjoyed as an appetizer and wine bar. Come with a group and enjoy a few plates of antipasti and a couple bottles of wine and you will not be disappointed. The prosciutto and cheese platter is plenty for sharing. Other popular small bites and sharable appetizers are the crab meat and avocado appetizer, the sheep’s milk ricotta, and the whipped tuna with capers and chives. There is a nice covered area in the back to escape the hustle and bustle of the busy city streets while exploring the expansive wine list. 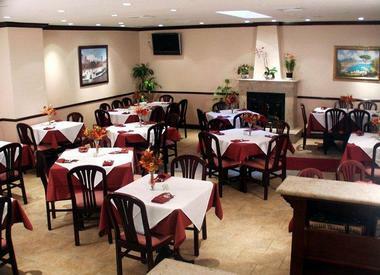 Tony’s Di Napoli is a New York City landmark that has been serving Italian food in the Casablanca Hotel since 1959. The food is traditional Southern Neapolitan and is served on huge, family-style platters. In addition to the flagship restaurant, Tony’s also has a location in the Upper East Side. 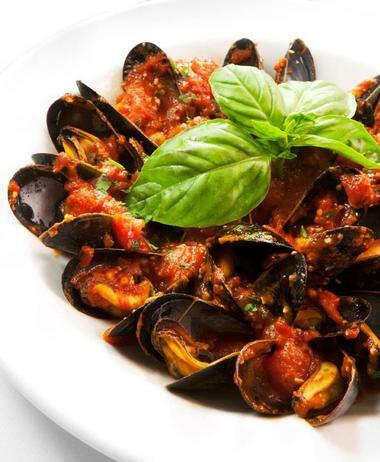 The menu features a large selection of appetizers ranging from stuffed mushrooms to mussels three different ways. There are several choices for a salad course. You can find pasta in almost any imaginable way on the menu as well as several meat-based entrees. Portions are very large and are designed for two or three people. Come early for dinner to avoid a long wait. La Lanterna di Vittorio has three dining areas to choose from and all boast a romantic appeal. The 200-year-old garden out back features four fireplaces, making it a romantic place to share a meal almost all year round. 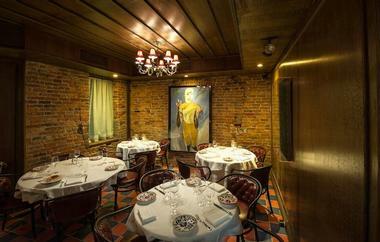 The intimate upstairs dining room features small marble tables and cane-backed chairs with a quirky selection of mix-and-match artwork and excellent street views of MacDougal street. The downstairs dining area has incredibly low ceilings, a working fireplace, and an adjoining dessert cafe serving a fantastic dulce de leche gelato. The menu offerings are modest in comparison to the surroundings. However, they do good 10-inch-pizzas with a variety of toppings and have a small selection of paninis. Italian Village Pizzeria has been serving pizza on the Upper East Side since 1970. They offer countertop pizza by the slice as well as full pies. The thin crust pizza is pretty hearty and one or two slices is enough to make a meal for most people. The restaurant’s long-standing presence is clear from its drab interior, however this is compensated by the affordable pizza in a warm and inviting atmosphere. Other menu items that have quite a loyal following include the mozzarella sticks, chicken parmesan, and the eggplant parmesan hero. The restaurant features two seating areas with a casual dining front of house and a more formal back of house with tablecloths and full-service. 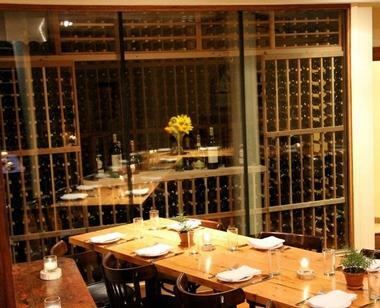 Bottega is a neighborhood restaurant in the Upper East Side that is friendly, comfortable, and elegant. 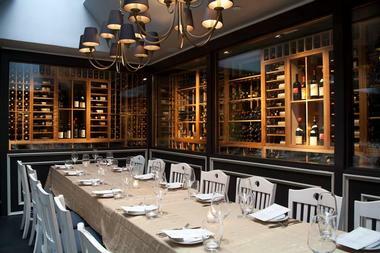 The restaurant features old-school Italian cuisine, a great wine list, and warm service. The ingredients they use are sourced from all over the world and the entire menu is made from scratch in house each day. Start your meal with a selection of antipasti ranging from crostini to caprese and grilled polenta served with truffle-flavored mushrooms. Bottega serves some of the best soups in New York, including a lentil soup and a Tuscan bread and tomato soup as well as a rotating soup of the day. The daily specials also include a homemade ravioli of the day. Other recommended pastas are the linguini alla vongole and the gnocchi.